National FFA Week is upon us, and, across the nation, over 620,000 FFA members will be celebrating the largest youth run organization in the world. In Indiana, the 7 State Officers will be traveling across the state to celebrate with as many chapters and members as possible. Check out what the State Officers are going to be up to this week! 1) What are you looking forward to most during National FFA Week? 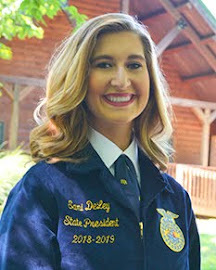 · Kenzie: One of the biggest aspects of FFA Week that I am looking forward to is getting to travel southwest Indiana, which is easily the part of the state that I am least familiar with. I also have a lot of fun events that I get to attend and I am very excited to meet more members from District X and part of District XI! · Annalee: I am looking forward to meeting many new members and traveling the state of Indiana. 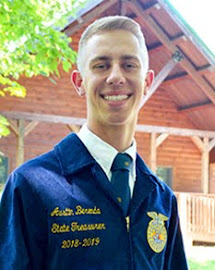 · Brett: I’m most looking forward to meeting as many amazing FFA members as possible! Indiana FFA members are so passionate and I love to see the great things they are doing in their chapters and communities. · Mason: I am looking forward to visiting with North White and New Prairie the most. These two chapters are both reinstalling FFA into their schools. I hope to be able to inspire some students to join this great organization, because we all know they will be hooked once they join! 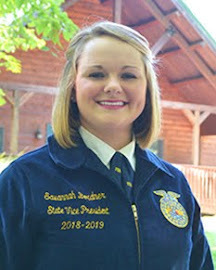 · Courtney: I’m really looking forward to traveling around the eastern part of the state and getting to know students from chapters that I’m not really familiar with. · Joshua: What I am most looking forward to is finding those schools that remind me so much of my home school, because some of my greatest memories were made in the classroom and I know other chapters are the same way! 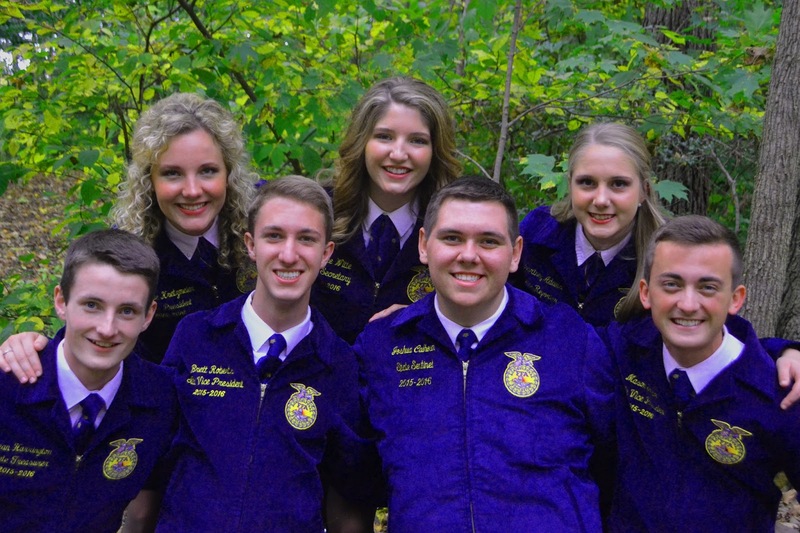 2) What is one of your favorite memories from past National FFA Weeks? · K: One of my favorite memories from FFA Week in high school was our Faculty breakfast that we put on every year. Although it meant waking up very early, I remember always having tons of fun preparing food and serving the Benton Central faculty, which set the day off to a great start. · A: I always enjoyed visiting the nursing home and giving the elderly cookies. · B: One of my favorite FFA Week memories has to Official Dress Day at Columbia City High School. You would get crazy looks in the hallways but it was a great way to explain what FFA was all about! · M: My chapter always ended FFA Week with a Hog Roast and Dance. This was always the highlight of my FFA Weeks. One memory from the Hog Roast and Dance was when my friend, Austin, and I “taught” our fellow FFA members how to dance. I still laugh when I think about how fun it was! · C: My home chapter always has a petting zoo during National FFA Week that’s always a hit with the elementary and high school students. Normally it runs smoothly without any problems. Last year, however, we had a donkey escape from the shop and run through the hall towards the cafeteria. The hilarious part is the security cameras caught it on tape and it was shared among the teachers during the days following, as well as on social media. · J: My favorite memory from National FFA Week happened last year while I was at Purdue. My Ag Education classmates and I missed being active in FFA so much that we made our own National FFA Week with dress up days and events during the week! I had such a great time that I could never forget to celebrate National FFA Week. · S: My favorite FFA week memory isn’t necessarily something specific. My chapter always packed the entire week full of activities and so I loved spending all of that time with my friends having a blast celebrating FFA. 3) What type of activities will you be participating in this coming week? · K: Oh my, it’s hard to name them all. I have the opportunity to visit two new chapters, talk to classes, attend a dance, and even play in the legendary District X dodgeball tournament! I can’t wait! · A: I have a wide range of visits from faculty breakfasts to chapter fun days. 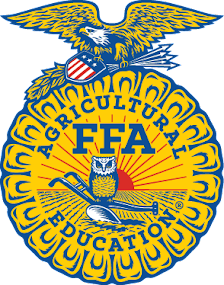 · B: Amongst the usual celebrations, I will be making my way around to an after school BBQ, the Hope/Columbus FFA basketball game as well as snow tubing with Scottsburg FFA! 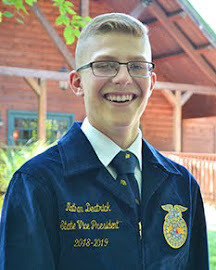 · M: I will be attending petting zoos, pancake breakfasts, movie nights, and two Greenhand Jacket Ceremonies. I will also have the opportunity to visit numerous ag classes along the way. · C: The majority of events I will be participating in are community or staff appreciation breakfasts, as well as classroom activities. I will also be attending two weekend outings, a volleyball tournament, a convocation, and a community service project to a nursing home. That’s just to name a few! · J: This coming week I am doing everything from classroom visits, appreciation breakfasts, Ag Olympics competitions, Ag days, basketball tournaments, dances, and a Fort Wayne Komets hockey game! 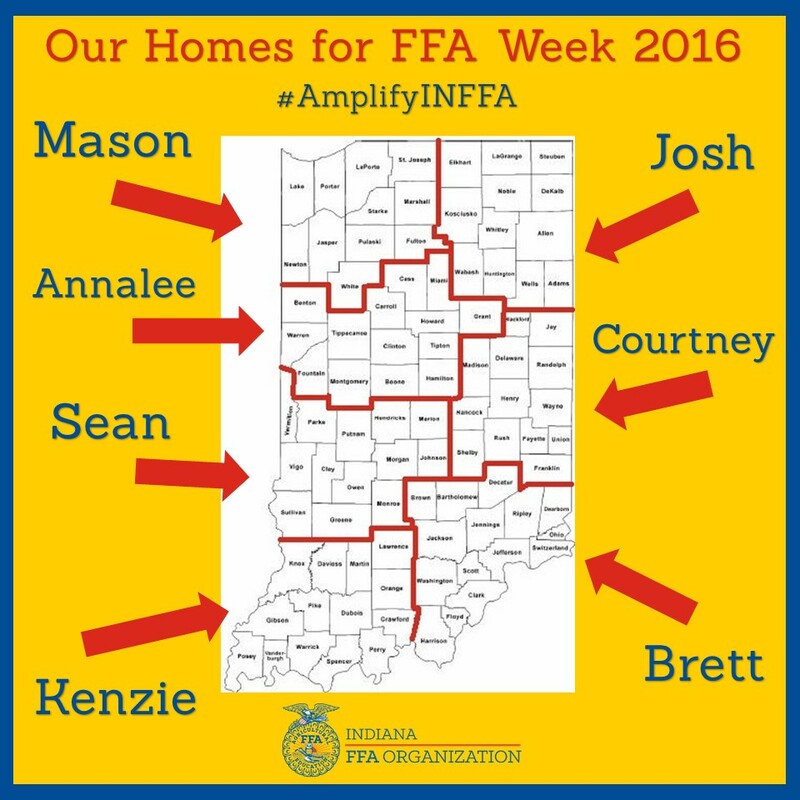 I am excited to experience a new kind of FFA week from the viewpoint of FFA members in northern Indiana! · S: I have everything from farmer appreciation breakfasts to chapter banquets. I look forward to having tons of fun both in and out of the classroom. 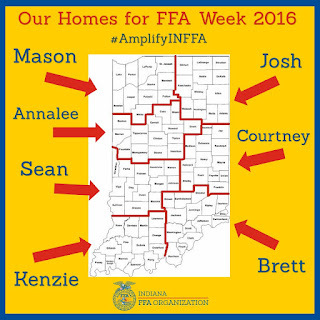 4) Check out which part of Indiana the State Officers will be in! 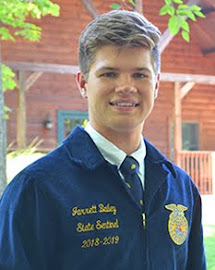 If you’re a past FFA member, we would encourage you to reach out to your home chapter and reconnect with FFA! From the entire 2015-2016 Indiana FFA State Officer Team, have a wonderful National FFA Week full of celebrations and memories! Growing up I remember seeing those commercials about cameras on the TV. Why do I remember those commercials? They always had some huge event portrayed and then a mom or a dad smiling and taking a picture with their camera. Now, I always associate the term “Kodak moments” with capturing some big event or activity with a camera. A moment most recent for me happened just this last week at the Indiana FFA Leadership Center. The snow was something that my teammates and I had in fact prepared for. A few weeks back Sean came home from the store with a surprise for all of us. He had bought us new sleds! Now these sleds were pretty legit, one was a long foam based sled with just enough room to stretch your legs out in. The other looked like a lady bug in the means of it was round and red. After seeing Sean walk in the door with those guys, I was ready to shred it on the hill at the center. Unfortunately my teammates talked me down from using them right away, because you cannot have a successful trip down the hill without some snowy padding. Days had gone by and I was so eager to go sledding, that I was half tempted to make some fake snow just to use them! Fortunately, all my hopes and dreams in the world were answered when we woke up to a few inches of frozen mashed potatoes covering the ground. After gearing up in our “snow suits,” which for me consisted of jeans, sweats, two jackets, a hat, gloves, and old Sperry’s, we marched our way to the lake dam where we would commence our sledding 2k16 sledding season. A few slides down the hill found us getting a bit gutsier with each trip we took. Sean and Courtney had gone down together on one sled, a snow ramp was half way constructed by Kenzie, but I was determined to blow all records out of the water. I had decided to race Sean and Annalee down the hill, but I was going to go down face first. “Go” was yelled and we threw ourselves off of the starting line, when I say threw ourselves off . . . I mean it. I had pushed off so hard, that my sled stayed put and my body went tumbling down the hill. After having a face full of snow, brutally losing with no contest to both Sean and Annalee, and landing at the bottom of the hill, I began thinking about those past few moments. In all honesty I had no regrets. I thought it was extremely fun and immediately wanted to do it again. So I did. Now, we all have those moments where we wish there was a camera ready, and this was definitely one of those moments. I pushed off from the top of the hill again, but this time I had my sled. I was soaring down the hill feeling like I was at the top of the world, until I hit the second part of the hill. There I totally lost the very little amount of control I had and once again went tumbling down. This time making sure to scrap my face along the way. That was a Kodak moment for me. I wanted to remember that feeling of sledding down that hill as fast as I could with some of my best friends in the world. I never wanted it to end because it was the time of my life! We all have these moments, whether it be a time someone got hurt, an event that a lot of work was put in to, or just a night hanging out with friends never be afraid to take advantage of them. How will I remember my moment? Well now every time I see the snow, I think of those times I went tumbling down. There are many other ways to remember moments. It could be hearing a song, coming across old pictures, or even wearing a green ribbon to memorialize a loved one. No matter how insane or boring Kodak moments are, they are always worth remembering because we can regain those excited or happy feelings just as if we are about to experience it firsthand again. That means we should never be afraid to have those Kodak moments in life! Everyone says our State Officer team is weird. We have more boys than girls; three of us were never on the executive committee; and we don’t have anyone farther south than Columbus, Indiana. However, the biggest thing people love to marvel over is all of our college decisions. Courtney is headed to Cornell University in Ithaca, New York. 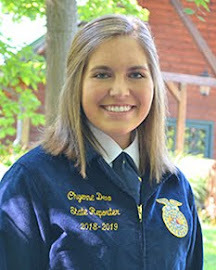 Kenzie and Mason will both be judging livestock—Kenzie at Butler Junior College in Kansas and Mason at Lincoln Land Community College in Illinois. Sean is going to Indiana University at Bloomington. Brett, Josh, and I will be attending Purdue University in West Lafayette. Upon meeting us, people often assume we are all going to Purdue. They are shocked to hear only three of us will be in West Lafayette in the fall. College decisions are personal and difficult. Don’t settle on a college to make other people happy. When you make your decision, make it for yourself. During my senior year, I was terribly conflicted about where I would go after I walked off the stage at the Eastern Hancock High School graduation. 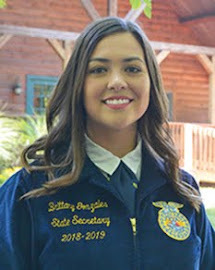 I knew I would run for State FFA Office, but that was not a sure thing by any stretch of the imagination. When it was all said and done, only seven people would be moving to Trafalgar after State Convention. Deciding on a college was a necessity, and not only did I have to decide, I had to get accepted too, and after I got accepted, I had to pay for it. It was all enough to make me want to curl up in a ball and stay in my bed forever. But like everyone else in the world, I have a mom who wasn’t about to let that happen; so I started researching schools. I narrowed it down to two: Oklahoma State University and Purdue University. I got accepted to both. It turns out that wasn’t too hard. The hardest part was deciding. I felt pulled in a million different directions. People told me stay in-state. People told me go out of state. People told me if I went to Purdue I would be settling. Others said there was no reason to go to Oklahoma State if I could get the same education in Indiana. It was all very confusing. Throughout the whole ordeal, I forgot to listen to the only voice that mattered—my own. I was so busy worrying about what was important to everyone else I had forgotten to contemplate what was important to me. One day, I sat down and thought about my priorities. The two most important things to me were scholarships and opportunities. I did not want to walk away from college with debt, and I wanted to go somewhere that could give me good opportunities for internships, travel, and networking. Obviously, I wanted to have fun, make friends, and be on a pretty campus, but those were all secondary priorities for me. Defining what was really important made my life so much easier. I could finally separate everyone else’s wants and needs from my own. After that, the only thing I had to do was visit both campuses. They were both beautiful in their own way and both had different strengths and weaknesses. But I knew Purdue was the school that fit the best with my personal priorities. I am happy with my decision, and I am incredibly excited to go to Purdue in the fall. To all the seniors trying to decide on a college: Take a deep breath. Everything is going to be okay. I know everyone is telling you a lot of different things, but the only thing that matters is what you think. At the end of the day, you have to go to the school you choose. You have to live there for four years, make friends there, and learn there. You are the one who has to be at peace with the decision. Don’t let anyone influence you. This is one decision you want to make for yourself.